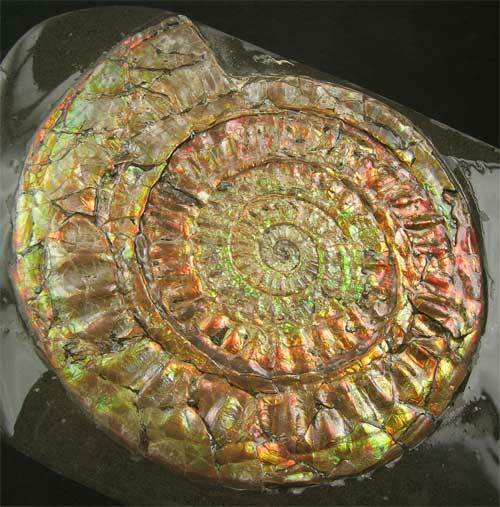 Rare and stunning beauty in one fossil. 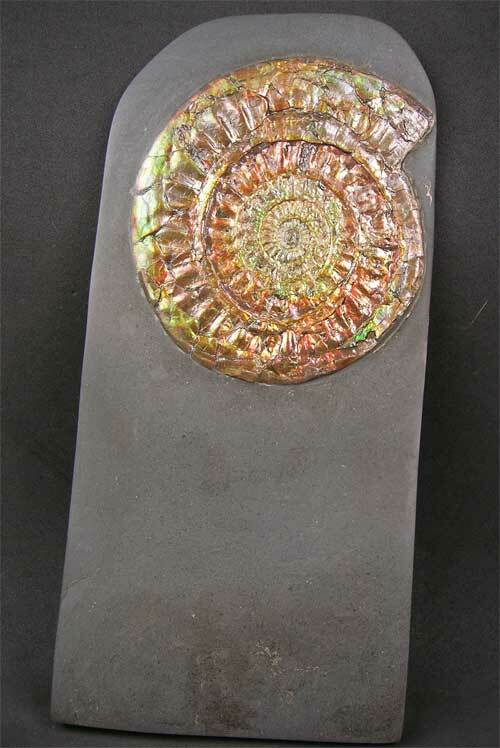 This ammonite displays natural Mother of Pearl with striking colours including the majority which is bright green also reds, oranges, purple and yellows. The matrix has been levelled for ease of display. 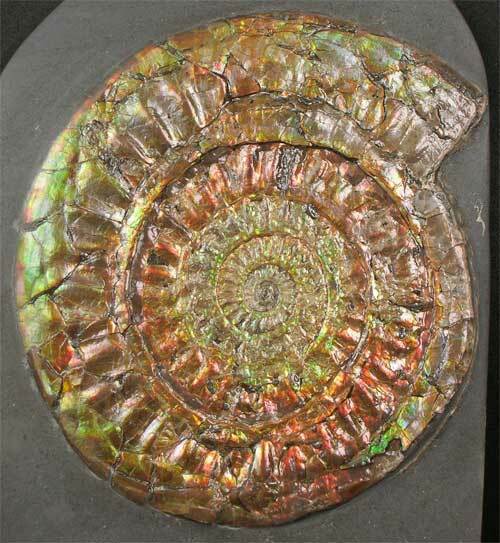 These wonderful ammonites are very difficult to get hold of these days. 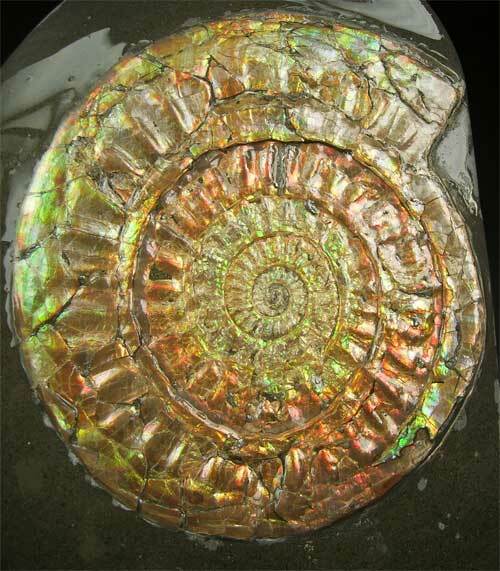 A lot of preparation has gone into this fossil by Andy Cowap. Approximately 205 million years old.